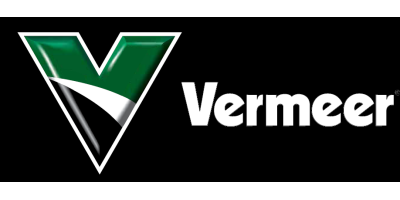 Vermeer is a world leading manufacturer of agriculture, construction, surface mining, tree care, organic recycling, and wood waste processing equipment . We’re a manufacturer of iconic yellow iron seen on industrial jobsites and farm fields worldwide. We’re proud of our unique culture, lived out by the nearly 3,000 team members strong found around the world, but headquartered in the heart of the United States. In 1948, a one-man job shop was established on a farm in central Iowa. The man behind it? Gary Vermeer. The second, and now third generations have taken what Gary started and transformed our company into a market-changing powerhouse recognized around the world. Our customers don’t come to Vermeer searching for a cookie-cutter product to do what’s been done before. Looking to Vermeer, they find innovative products for niche markets to help them get their tough work done. Equally important, they choose Vermeer because of their local dealer, giving them the support they need, when they need it. With every hole drilled, tree chipped, bale rolled and rock crushed, our customers are doing more. They feed and fuel the world. They manage our precious natural resources. They connect people to the necessities of life. With their yellow iron in hand, they are Equipped to Do More®. Almost 70 years have passed since our company, carrying the name of our founder, Gary Vermeer, was established, but more than the Vermeer name stands the test of time. The second and third generations of the Vermeer family are carrying the legacy of innovation, continuous improvement and the ultimate goal to equip our customers, our people and our world to do more. In 1948, Gary built a small shop and named it Vermeer Manufacturing Company. While the company grew, his farmland flourished, his tinkering continued and his desire to always find a better way was never quieted. His hobby plane became the norm for customer support decades before Amazon existed. Gary’s home still proudly stands just east of the Vermeer campus in Pella, Iowa, USA. Bob Vermeer, Gary’s son, joined Vermeer in 1974 and became CEO in 1989. Today, Bob serves as chair emeritus of the Vermeer Board of Directors. Mary Vermeer Andringa, Gary’s daughter, joined the business in 1982 and was named president and chief operating officer in 1989. In 2003, she became CEO and today serves as chair of the board. Third-generation family member, Jason Andringa, stepped into the role of president and CEO in 2015, bringing with him experiences that have developed a deep commitment to the markets we serve, a refreshed focus on innovation and a passion to honor the company’s legacy. Mindi Andringa Vanden Bosch, another third-generation family member, is a continuous improvement manager at Vermeer. What’s the secret behind the Vermeer family’s successful leadership transitions? An ongoing commitment to intentional family planning. At the core of Vermeer is the idea that we are always striving to do more. We never limit ourselves to the task at hand, but instead go above and beyond in everything we do. Each decision made is driven by the four values that reflect the Vermeer character and foundation – principles, people, product and profit. A common set of principles help guide our behaviors and actions in a way that sets Vermeer apart. While we live out a caring culture, remain focused on the customer, demonstrate agility and keep stewardship top of mind, we also let the biblical principle known as the Golden Rule, “Do unto others as you would have them do unto you,” shine through in how we do business each and every day. As a company, we value our people above all else. Simple as that. By engaging our team members in a way that allows them and our processes to continuously improve, we eliminate waste and use our resources wisely. Vermeer aims to help team members bring their best self to work. That’s why you’ll find Pella-campus resources like Yellow Iron Academy Early Learning Center, an onsite medical clinic and pharmacy and a team of health and well-being coaches and chaplains. Team members are encouraged to enjoy the benefits of giving back to their communities, many doing so through Volunteer Time Off (VTO). Last, but definitely not least, we care for our people and our people care for each other. We aim to send each team member home safely; in the exact same way they came to work every day. Our customers have high expectations when it comes to their equipment and at Vermeer, we aim to deliver. We create innovative products for niche markets that fit our customers’ needs and build our machines to take on tough tasks. Our equipment has the durability to keep our customers moving forward over the long haul, while also providing a greater return on investment in the future. We strive to provide our customers with new products and market opportunities that demonstrate there’s always a better way. Our profit finances our growth long into the future and creates opportunities for us to constantly learn and advance. Simply put, it allows us to do what we do best: explore, create, test and improve. It fuels our giving nature in a way that allows us to give back to the communities we live in and champion causes important to Vermeer and our team members.